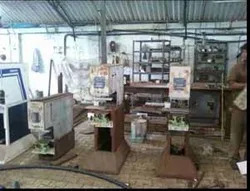 We, Candour Machinery Pvt. Ltd. is where printing technology combines with engineering brilliance to give the cutting edge to the Pad Printing Technology. This is the result of over 3 years of our experience in Plastic & Printing industries. We have a team of highly motivated individuals dedicated to the development, manufacturing and marketing of diversified products and services related to Printing & Plastic Auxiliary characterized by superb quality and economic viability. We provide Hi-tech automatic, semi automatic, standard systems to print on any surface or any shape from single to multi colors using high speed precision printing technology that in it's sphere of operation had rendered all other printing methods obsolete. We believe that the solution arises from within the problem, hence we provide user friendly and cost effective solution to your entire Pad printing needs and problems. We believe that the solution arises from within the problem, hence one user friendly and cost effective solution to your entire Pad printing needs. 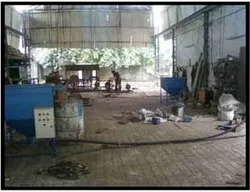 Since each product is unique in it’s own way, Candour Machinery Pvt. Ltd designs & customizes special Pad Printing Systems to suit your particular need. The Pad Printing Systems are used for marketing & decorating a diverse range of products, in the Electronics, Plastics, Automobile, Engineering, Customer Products Industries, and are used by top name in the industry, people who prefer nothing but the best. 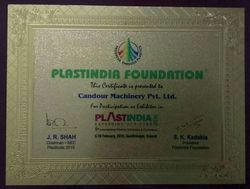 We are Participant of Largest Plastic Exhibition Named " PLAST INDIA "
Since each product is unique in it’s own way, Candour Machinery Pvt. Ltd designs & customizes special Pad Printing Systems to suit your particular need. The Pad Printing Systems are used for marketing & decorating a diverse range of products, in the Electronics, Plastics, Automobile, Engineering, Customer Products Industries, and are used by top name in the industry, people who prefer nothing but the best. 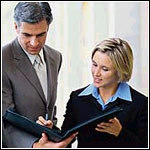 Our strength is generated from our clients, our Vendors, our team, our industry, and our society. Our Strength Our strength is generated from our clients, our Vendors, our team, our industry, and our society. 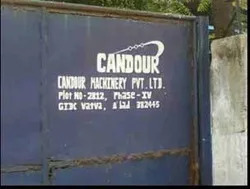 We, Candour Machinery Pvt. Ltd. where printing technology combines with engineering brilliance to give the cutting edge to the Pad Printing Technology. This is the result of over eleven years of our experience in Plastic & Printing industries. We have a team of highly motivated individuals dedicated to the development, manufacturing, marketing of diversified products and services related to Printing & Plastic Auxiliary characterized by superb quality and economic viability. * Hi-tech automatic, semi automatic, standard systems to print on any surface or any shape from single to multi colors of high speed precision printing, technology that in it's sphere of operation had rendered all other printing methods obsolete. We believe that the solution arises from within the problem, hence one user friendly and cost effective solution to your entire Pad printing needs.